A great way to discover Costa Rica and it´s water is by the hand of one of our ISA & Lifeguard certified instructors. Our instructors are Costa Rican locals who have an amazing amount of knowledge of the ocean and love for what they do. All lessons start with a drill on the beach where you will be introduced to the 101’s of surfing. These drills are based on the most important basics of surfing and special care is taken for security drills. 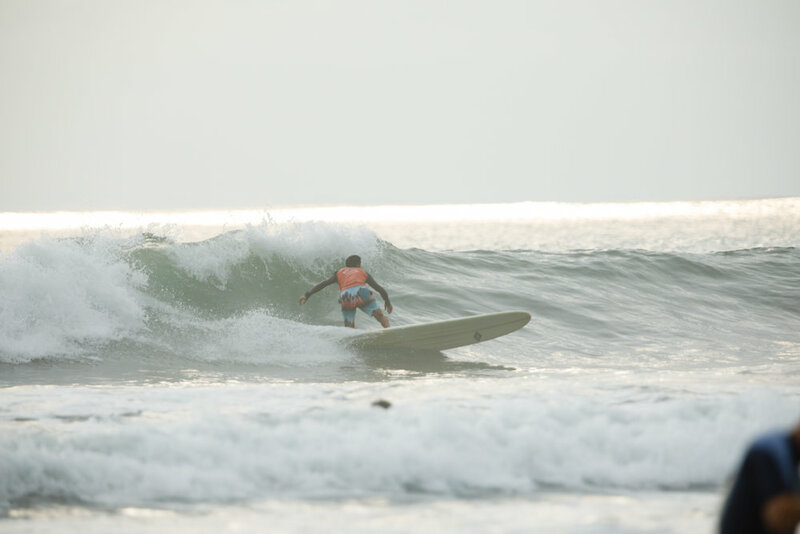 After arriving at the beach training area, located in the quiet south end of Jaco Beach, you will meet your instructor and discuss the outline of the surf lesson. You will then be assigned a board to use during the lesson, as well as a rash guard if you need one. All private lessons are split up into three segments. The first is beach drills, where you will be introduced to the 101´s of surfing. These drills are based on the most important basics of surfing, and special care is taken for security drills. At the end of the beach drills, you will feel confident paddling, pushing, popping up on your board, and will be ready to get into the water! The second segment is in the water, close to shore and in no deeper than shoulder high water. Here, your instructor will lead you through the maneuvers you learned on the beach. You will get the feel of lying on your board in the water, paddling out, pushing over the tops of the white water, and finally, popping up on your board and riding the white wash to shore. If this is your first time on a surfboard, your first ride will be a magical experience that you will never forget! We will then take a short break, giving you time to rest and take advantage of the complimentary refreshments. After you regain some energy, we will head back out into the water for the third and final segment of the lesson. This last segment will be determined by what your instructor feels is the best, and safest, choice for you. The waves in Costa Rica can be very serious at times so it´s important that you listen to the advice of your instructor. If your instructor feels that you need some more time to practice riding the white water to shore, no worries!, he or she will continue to help you feel comfortable close to shore. If your instructor feels like you are ready to push your limits a little further and paddle to the outside (where the bigger waves break), than he or she will help you to get past the breakers to the calm open water. Once there, you can focus on catching a real Costa Rican wave, an awesome story to tell people about when you get home.